$49.95 for each suction cups. Wallyball Suction Cup. includes installation instructions. Set up a wallyball court without drilling holes! 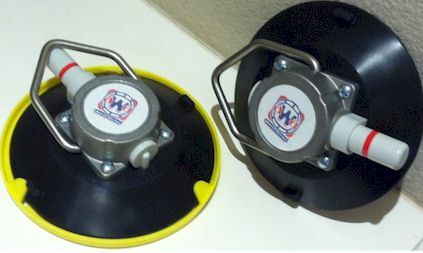 suction cups for use on non-porous or glass walls. Prices is $49.95 for each suctions cups.